A young woman from Wisconsin has filed a new Yaz side effect lawsuit against Bayer and other Defendants after suffering a type of blood clot called deep vein thrombosis that was so severe she had to have her leg amputated. The Plaintiff, who is being represented by Gilman Law LLP, a national defective drug law firm representing individuals with Yaz injuries and Yasmin injuries, claims that her injury was caused by the Yaz birth control pill. This entry was posted in Drug Defect Lawsuits and tagged yasmin, yasmin attorney, yasmin claim, yasmin lawsuit, yasmin lawyer, yasmin settlement, yasmin side effects, yaz, yaz attorney, yaz claim, yaz lawsuit, yaz lawyer, yaz settlement, yaz side effects, yaz yasmin on August 1, 2012 by Gilman Law. After continued mediation, Bayer is settling a portion of the Yaz, Yasmin Claims for at least $110M–roughly $220,000 per Yaz, Yasmin lawsuit. 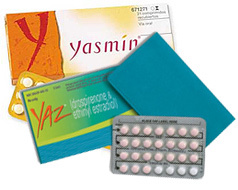 If you or a loved one has been experienced blood clots from use of Yaz Birth Control or Yasmin Birth Control, contact our Defective Yaz, Yasmin Attorneys today to get help filing a Yaz, Yasmin claim. In January 2012, the Honorable David Herndon, the presiding judge on many Bayer Yaz settlements, Yasmin birth control pill lawsuits, postponed the first scheduled Yaz trial and ordered the case to mediation. (Yaz, Yasmin Mediation Order). 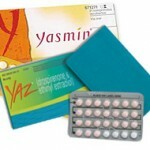 Subsequently, Bayer officials agreed to pay at least $110 million to settle numerous Yasmin lawsuits over claims that its Yasmin birth-control pills caused blood clots in the first larger resolution of cases over the product since the parties went to mediation in an attempt to resolve claims of serious injuries from the use of Yaz birth-control pills and Yasmin birth-control pills. Officials of Bayer, based in Leverkusen, Germany, agreed to pay an average of about $220,000 per case to resolve the claims that its Yasmin contraceptives and Yaz contraceptives caused sometimes fatal blood clots that can lead to heart attacks and strokes, according to individuals close to the settlement. If you or a loved one has experienced serious injuries or side effects from the use of Yaz birth control pills or Yasmin birth control pills, you are encouraged to contact our experienced Defective Drug Attorneys to get help filing a Yaz Claim or Yasmin Claim. If you have experienced serious blood clots from the use of Yaz birth control pills or Yasmin birth control pills, you may be entitled to up to $220,000 from the Yaz, Yasmin Settlement. Yaz Lawsuit Claims and Yasmin Lawsuit Claims are time sensitive, so do not delay. You may contact our Defective Drug Lawyers by calling Gilman Law LLP toll free at (888) 252-0048, or by completing our Yaz Claims Form and Yasmin Claims Form online for a free consultation and claim review. This entry was posted in Drug Defect Lawsuits and tagged yasmin blood clots, yasmin claim, yasmin defective drug, yasmin lawsuit, yasmin mediation, yasmin settlement, yaz blood clots, yaz claim, yaz defective drug, yaz injuries, yaz lawsuit, yaz mediation, yaz settlement, yazmin injuries on April 17, 2012 by Gilman Law. On April 10, 2012, the U.S. Food and Drug Administration (FDA) announced that it was requiring Bayer, the maker of the allegedly defective birth control Yaz and Yasmin, to change its label for drospirenone-containing birth control pills (Yaz and Yasmin). The revised label includes the increased risk for developing dangerous blood clots. The revised label is a result of previous studies have reported a three-fold increase in the risk of blood clots for drospirenone-containing birth control pills such as Yaz and Yasmin when compared to “older generation” birth control pills containing levonorgestrel or some other progestins. The advisory panel that met in December voted 21-5 that labeling on Bayer’s Yaz Birth Control Pill and Yasmin Birth Control Pill is inadequate and should be revised to better reflect the higher risk of blood clots associated with these drugs. This prompted the FDA decision to revise the Yaz labeling and Yasmin labeling. In February 2012, Bayer settled approximately 70 Yaz claims and Yasmin claims involving plaintiffs who suffered blood clots, pulmonary embolisms, deep vein thrombosis or stroke while taking the birth control. The Experienced Defective Drug Attorneys of Gilman Law LLP are actively representing clients that have taken Yaz birth control or Yasmin birth control (drospirenone-containing birth control pills) and suffered serious injuries like the blood clots described above. If you or a loved one has suffered serious injuries from taking Yaz or Yasmin, please visit our Yaz/Yasmin Settlement Claims Center for a free consultation and case review. Please Visit Our Yaz/Yasmin Settlement Claims Center for more information. This entry was posted in Drug Defect Lawsuits and tagged new yasmin label, new yaz label, yasmin claim, yasmin lawsuit, yasmin settlement, yaz claim, yaz lawsuit, yaz settlement on April 12, 2012 by Gilman Law.